We offer premium services including implants, porcelain crowns, onlays, and inlays, porcelain veneers, and removable prostheses to give you the smile you always wanted. If you have missing teeth, it is crucial to replace them. Without all your teeth, chewing and eating can destabilize your bite and cause you discomfort. When teeth are missing, your mouth can shift and even cause your face to look older. Implants are a great way to replace your missing teeth. 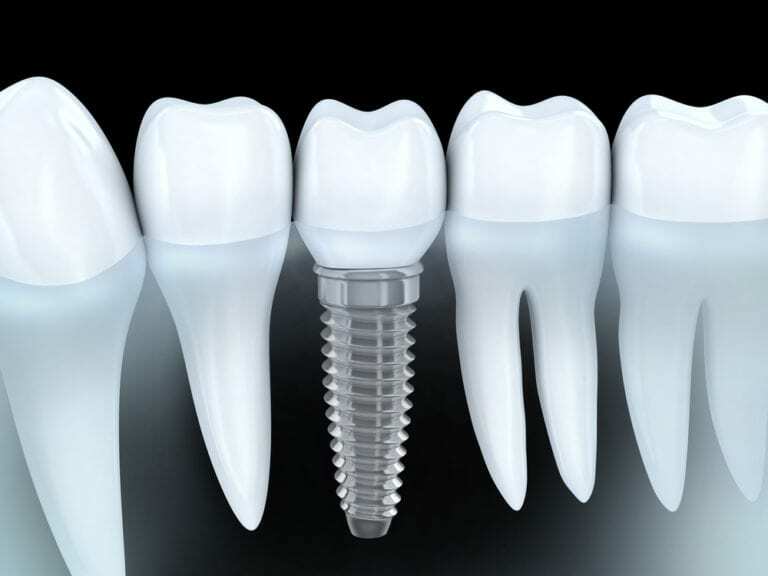 An implant is a new tooth made of steel and porcelain that looks just like your natural tooth. Your implant is composed of two parts that mimic a tooth’s root and crown. The implant’s “root” is a titanium steel rod placed into the jaw bone to act as a root. Once the rod is in place, a porcelain crown is attached to replace the top part of your tooth. Implants may also be used to anchor dentures, especially lower dentures that tend to shift when you talk or chew. Plus, for patients with removable partial dentures, implants can replace missing teeth so that you have a more natural-looking smile. You may qualify for dental implants if you have missing, broken or severely decayed teeth and are in relatively good overall health. The only way of determining your eligibility for implants is to make a consultation with our dentist to identify whether you have adequate bone support and healthy gums that will support the new tooth structure.